Medical Malpractice Attorney in Providence RI | Resmini Law, LLC. When you entrust your health and medical treatment to professionals, you rightly expect them to uphold basic standards in providing quality services. Your long-term health, well-being and even your life may rest in their hands. Unfortunately, medical errors happen all too often. Clinics, hospitals and health care professionals may take shortcuts that have life-altering consequences. Mistakes or negligence can have a drastic impact on your future. In severe cases, you may end up losing a loved one due to medical negligence. Whatever your situation, you do not have to face it alone. 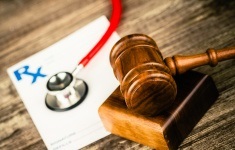 Medical malpractice is a complicated field of law. Perhaps more than any other type of personal injury case, medical malpractice cases require experience in the trenches of the courtroom as well as in tough settlement negotiations. I work with trusted medical experts to build solid evidence and compelling arguments. You can count on me to explore every possible source of recovery including taking on hospitals, clinics and care centers as well as individual physicians, nurses and other health care professionals to make sure that no potentially liable parties escape notice. Victim Of Physician Or Hospital Negligence? Get started today with a free consultation by calling 888-777-PAIN (888-737-6464) or contacting me online. Because I handle medical malpractice cases on a contingency fee basis, you will pay nothing upfront and owe no attorney fees unless I obtain compensation for you.